In this lesson we will focus on fractions that are actually greater than one. I've always known them as Mixed Numbers, but I've found that many people are calling them mixed fractions. Depending on how the number is written is may also be an improper fraction. So, after all the talk about proper fractions, and how a fraction is "part of a whole" or less than 1, how we can we now say that some fractions are actually greater than 1? 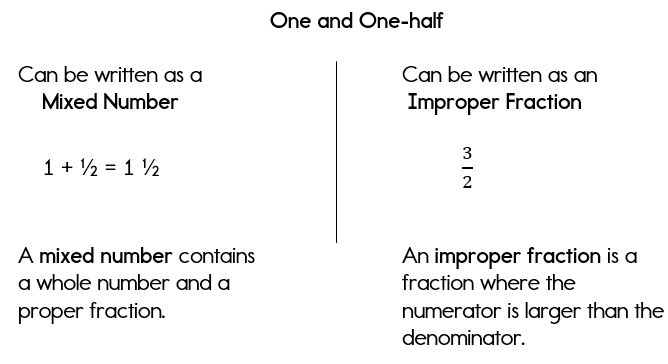 In many cases, an improper fraction is easier to work with than a mixed number. Therefore, mixed numbers are often converted to improper fractions. 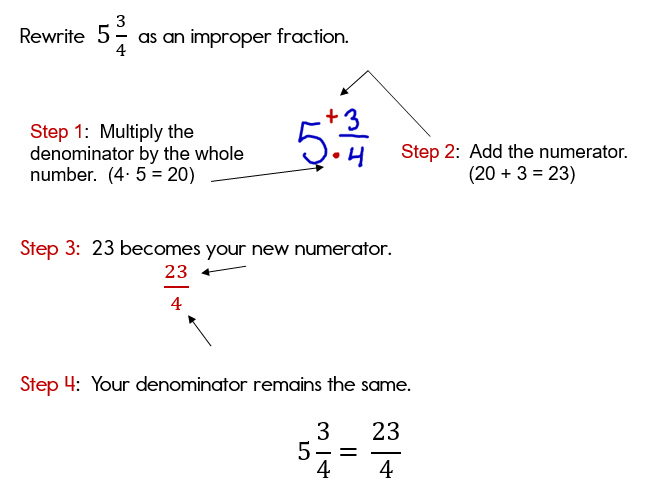 Here's another way to view the steps in rewriting a mixed number as an improper fraction. 1. 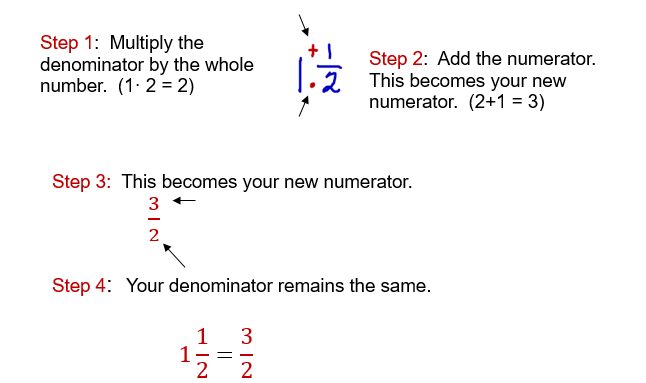 Multiply the denominator times the whole number and then add the numerator. This is the new numerator. 2. Write this number over the existing denominator. 3. This is your new improper fraction. Just to make sure you completely understand, let's take a look at one more example. You can also rewrite an improper fraction as a mixed number. 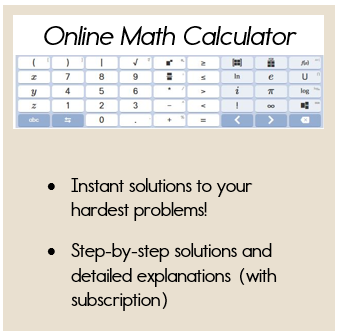 This comes in handy if you solving real world problems! Hopefully now you understand the difference between an improper fraction and a mixed fraction. 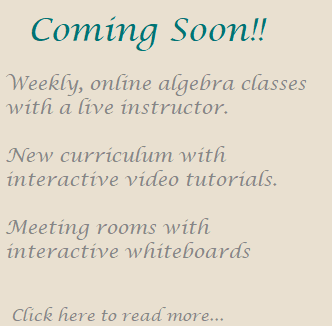 You should also be able to convert from a mixed number to an improper fraction. 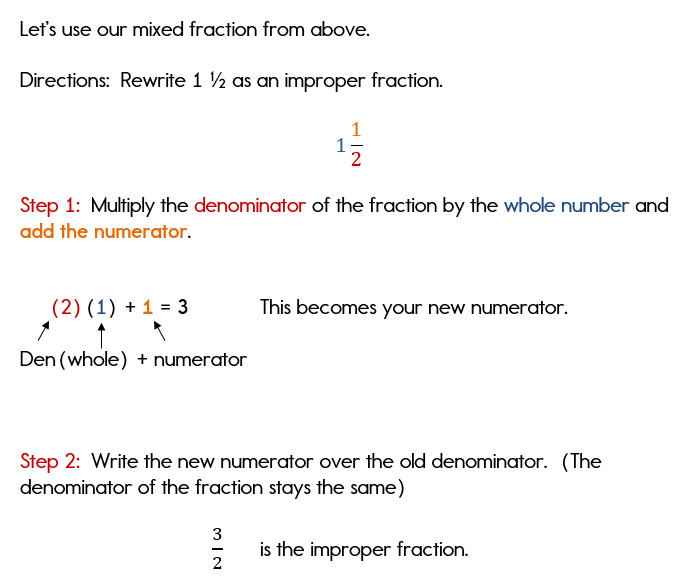 Click here for the next lesson on converting from improper fraction to mixed number.